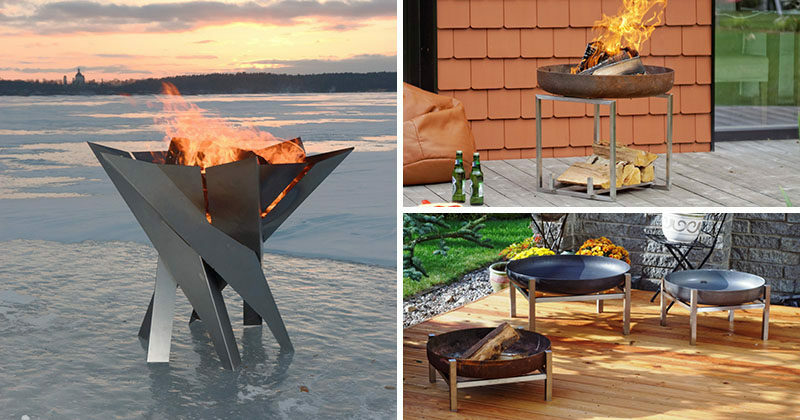 London-based Arpe Studio, a creative partnership between a small group of UK and Lithuanian based designers, create and manufacture a variety of Nordic design inspired furniture and home decor designs. 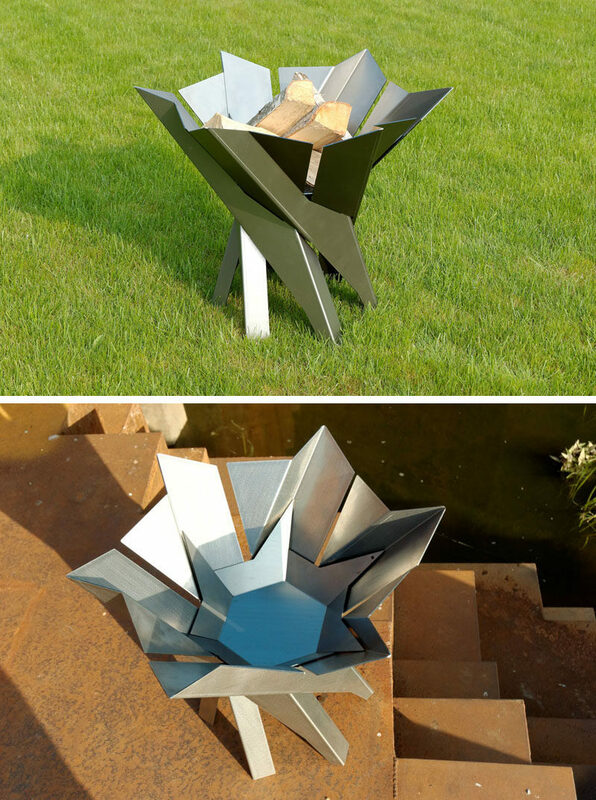 As part of their collection, Arpe Studio have designed a series of of outdoor fire pits made from steel and other complimentary materials. 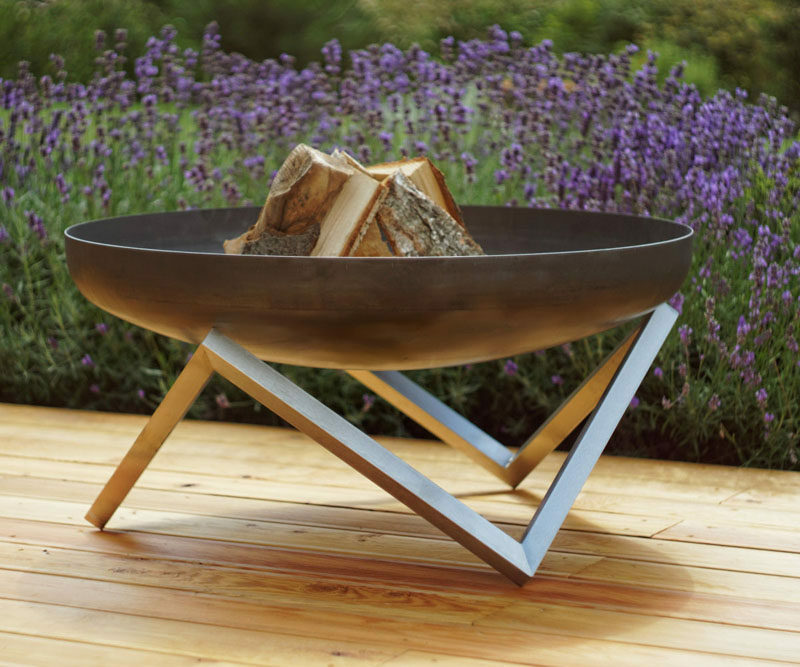 Some of the designs have the fire pit’s surface sanded to ensure that a natural rust will form over time. 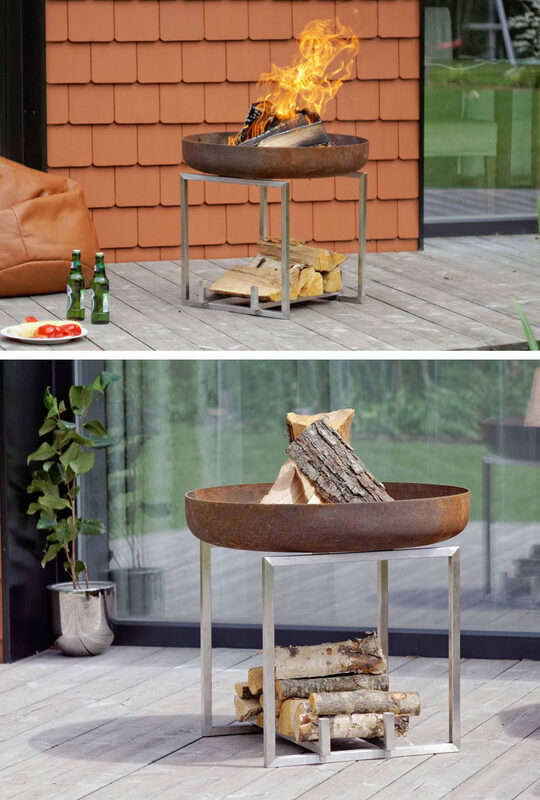 Each design is minimalist with an industrial touch, due to the materials, and some designs, like the one below, incorporate firewood storage into the frame.